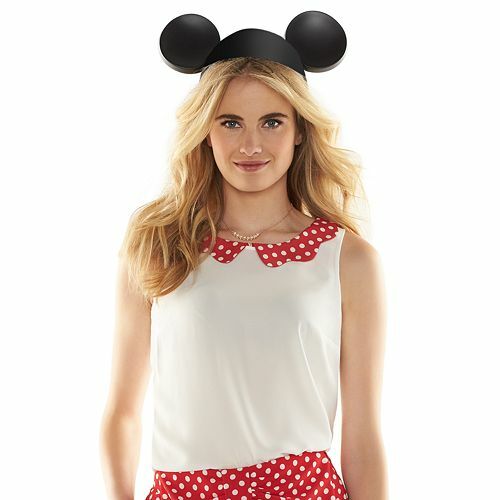 Where to Get all the New Trends in Disney Fashion for Adults…Outside of the Parks. People are always looking for cute, comfortable and expressive clothing to wear in and out of the parks showing their Disney love and many designers and stores have caught on. Recently, you may have seen the news even the young designer Lauren Conrad launched a line for Kohls. I want to show off a few items from different places that you can get your Disney fix. If Minnie is your favorite or you just like cute and appropriate Disney clothing then LC’s New Collection should be your first stop. They use light fabrics and bright colors and being at Kohl’s it is going to be affordable! If you are “pooh size” or just need some extra room then check out Torrid’s Disney collection. From tee shirts to Little Mermaid Skater Dresses you are in the right place. Torrid caters to the plus size with cute pieces and affordable prices so to see more check them out and Click HERE! 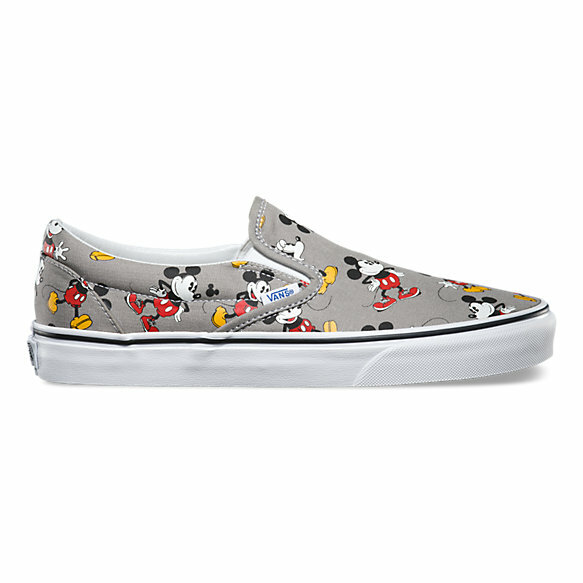 But it is not ALL just about clothes…do not forget the shoes – Disney shoes are a hit and Vans can hook you up with the shoes and more. Check out all the designs HERE. Now that are tons of options out there and even the Disney store sales adult clothing so look around and check them out. 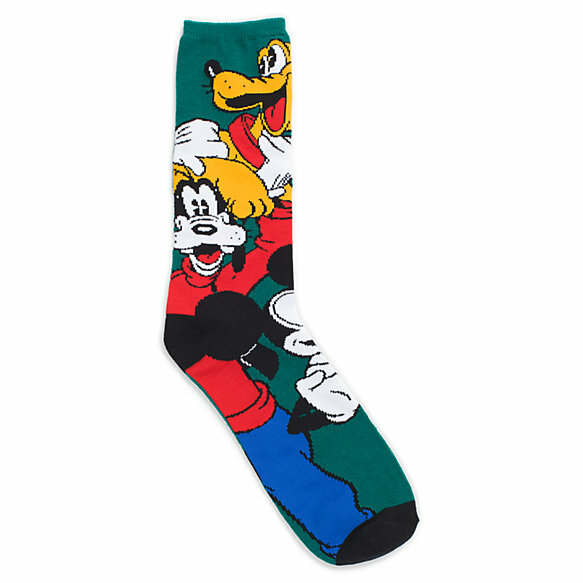 These three are my favorites but tell me where do YOU find great Disney clothes? Have you ever really sat down with a kid and asked them what they wanted out of a Disney vacation? We did! Our special guest this week tells us all about what she likes about Walt Disney World, what she doesn’t like, what she’d like to see, and what she’d do on her perfect Disney day. Here are some of my favorite tips for the Magic Kingdom at Walt Disney World. Get there early to see the Welcome Show! It really sets you up for the magic of the day and you may even leave with a tear in your eye. When you are entering the park walk up the sidewalk. Of course it is really fun to walk right down the middle of Main Street USA, but it tends to be packed with strollers and people taking pictures or posing for pictures so it is really stop and go. Taking the sidewalk next to the shops will be quicker. Go for Fantasyland first. You don’t have to go right through the castle though. If you go to the right or left paths closest to the castle you can cut right behind it for a pretty view and you might miss some of the crowds. Also something to note is that the path through the castle is closed at times. I wouldn’t dream of missing walking through it castle on any trip but you can do it later in the day for less crowds. The flag pole near the train station on Main Street USA hosts a flag ceremony each day at 5pm and it features current or former members of the US Armed Forces. And you can even be a part of it if you are a member of the armed forces. If you want a good spot to see a parade or Wishes be sure to get there at least 30 minutes early. If you plan to leave right after the parade or fireworks then get a spot close to the Main Street USA Train Station for a quick and easy getaway. Or alternatively this is a great time to check out the shops on Main Street USA or get a Dole Whip while people are either watching the parade or fireworks or getting onto attractions. Stay late, this one is easier said than done if you have kids. You can accomplish a lot in a couple hours when the crowds are dwindling. The shops are also open one hour after the parks close so that is a great time to do some shopping or just relax on a bench while the park clears out. Bring change! If you have a child they will very much want to throw a coin in the fountain or in It’s a Small World. There are also lots of pressed penny machines in the park. Book an early breakfast- you can get into the parks early and beat the crowds to attractions. Tonight my husband and I took our youngest two children to see the new Disney Pixar film, “Inside Out”. I have to say, I was definitely a fan! Let me tell you why. The idea that there are little voices in our heads controlling how we feel is not a new thing, but I feel like Pixar made it very cute, whimsical, and understandable for small children. The voice cast is perfect! Joy, voiced by Amy Poehler, is very bubbly and sweet and likeable, Anger is voiced by Lewis Black and you can’t get any more perfect than that. Mindy Kaling is Disgust, Bill Hader is Fear, and Phyllis Smith is Sadness. All these folks make up Riley, the little girl whose emotions they control. 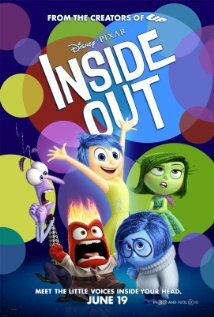 When Riley’s parents pack up her life and move her to another state, Riley’s emotions are all over the place and an accident in HQ puts Joy and Sadness in quite a predicament. Don’t worry, no spoilers here. For me, the overall feel of the movie is fun for kids, but Pixar really knows how to take their material and punch the adults right in the feels. I found myself genuinely tearing up in some parts of the movie and outright crying at the end. While this one has some funny parts for both kids and adults, it’s not exactly a side-splitter, but that’s ok. It’s sweet and genuine, and that totally makes up for any slapstick that might be lacking. I highly recommend you and your kids go and see “Inside Out”. I hope you enjoy it as much as I did. Ready to win some awesome prizes? 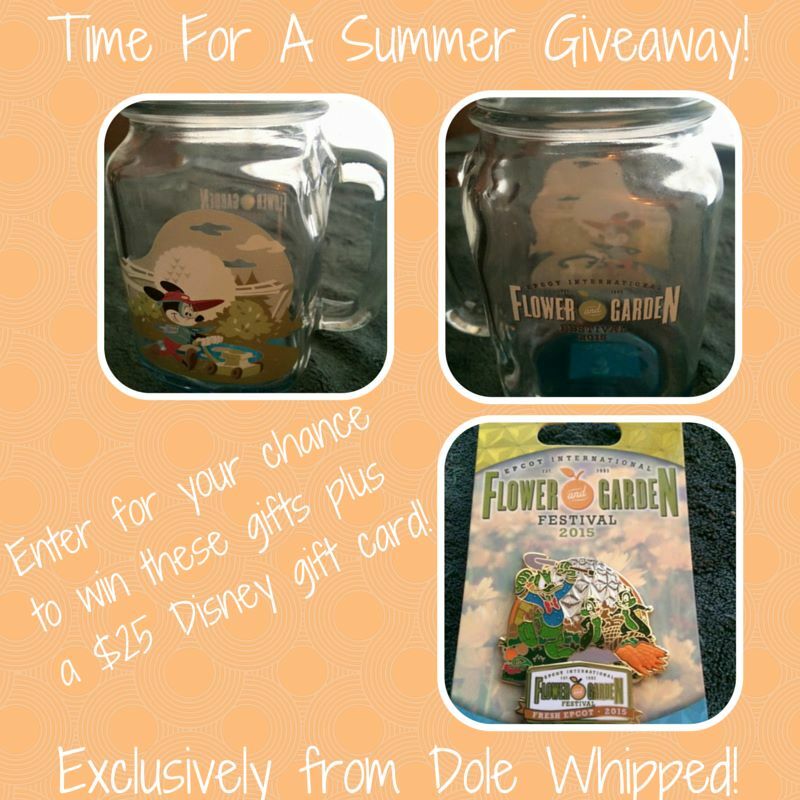 Dole Whipped is ready to give them to one lucky winner! What can you win? 3. $25 Disney Gift Card to buy whatever you want (think Dole Whips or gifts for your favorite Disney ladies). What do you have to do? Stay Tuned to Dole Whipped and Watch our pages for details! 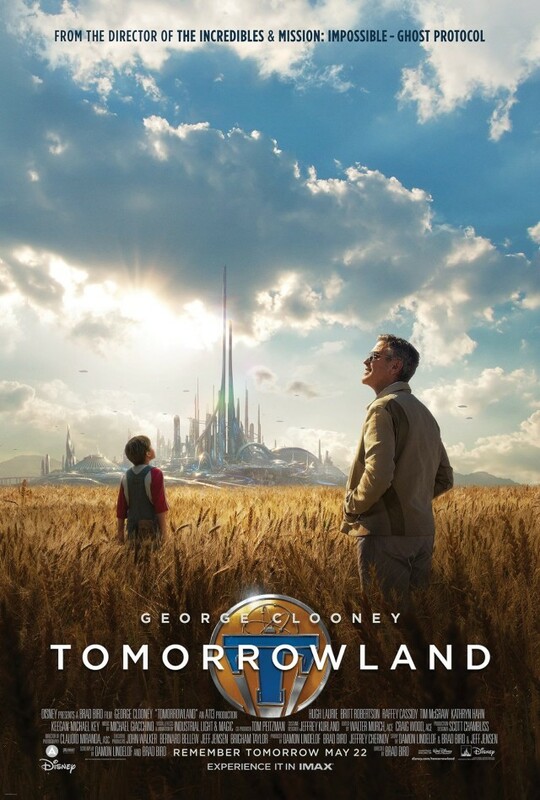 Join us for a an overview of all the new things coming to Downtown Disney in the coming months! Hear all about the new restaurants, shops, and entertainment that will be available to you for your future Disney vacations! In addition to that we discuss when 2016 packages will be available for booking so don’t miss it! 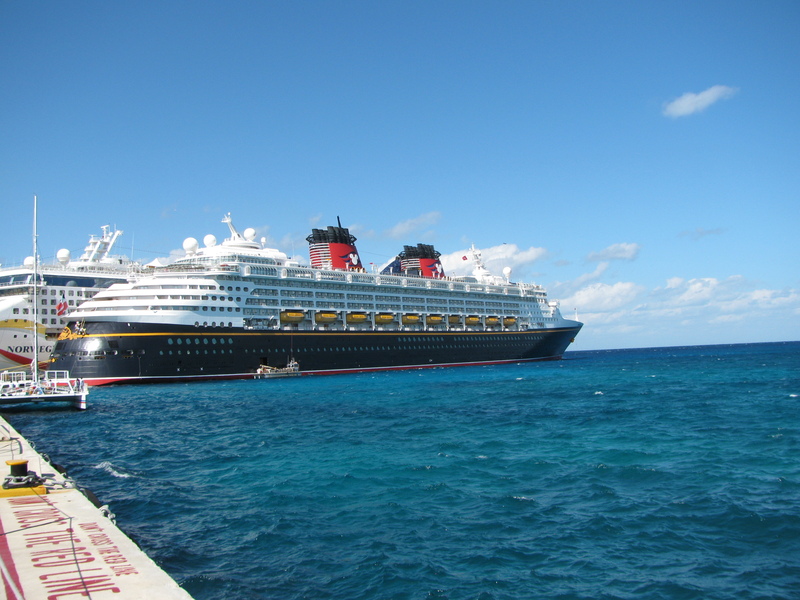 Disney Cruise Line has a great new policy for booking onboard for a return cruise! You can make a $200 deposit per stateroom as a placeholder towards a future cruise. This allows you to book deposit and lock in the savings without choosing a specific cruise for the future. This is a great option for the returning cruiser who is unsure of school or work schedules to be able to take advantage of the savings without worrying about choosing the dates or itinerary. You will receive a confirmation number which can be used by yourself or a travel agent to modify the placeholder into a full booking. This savings is 10% off the next sailing and reduced deposits on sailings 7 nights or longer. As well as up to $200 onboard credit per stateroom. It is limited to 2 staterooms so if you think you might want to return with others you can book two rooms at the discount and cancel one at a later date if you need. If you think you might return it is always good to lock in that discount while onboard! 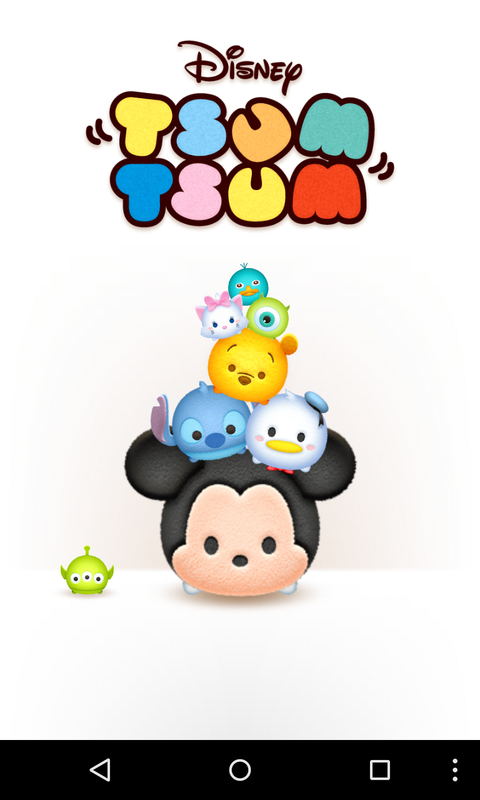 Tsum Tsum: Are You Addicted? Surely by now, everyone has tried this game and I’m the totally uncool person who’s just now discovering it. Be that as it may, this game is so fun! I get that it’s really made for children but it’s such an easy time-waster. The point of the game (for the uninitiated) is to match lines of matching Disney characters. I’m not sure why all the characters look like little hamsters, but they kind of do and they are adorable! Within the game you can choose your Tsum (a word that means “stack” in Japanese) based on their skills. Each character has a different powerup that you can use to get higher scores. 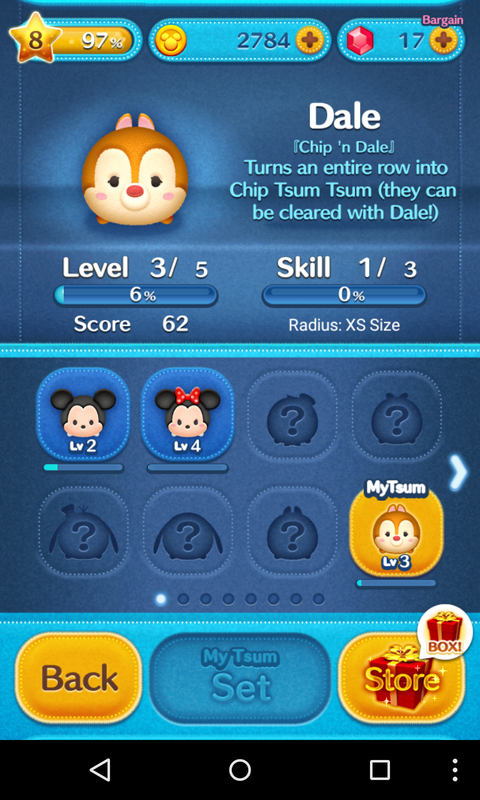 You can purchase more Tsums by collecting coins when you beat a level. Ten thousand coins gets you a Happiness box while thirty thousand gets you a Premium box. Of course, that’s just a basic overview of the game, which is available for free for iPhone and Android. And when you’re out of lives for the day, you can pick up your favorite Tsums at the Disney Store (I’ve also seen them at Target) for $5 and up. They are adorable! 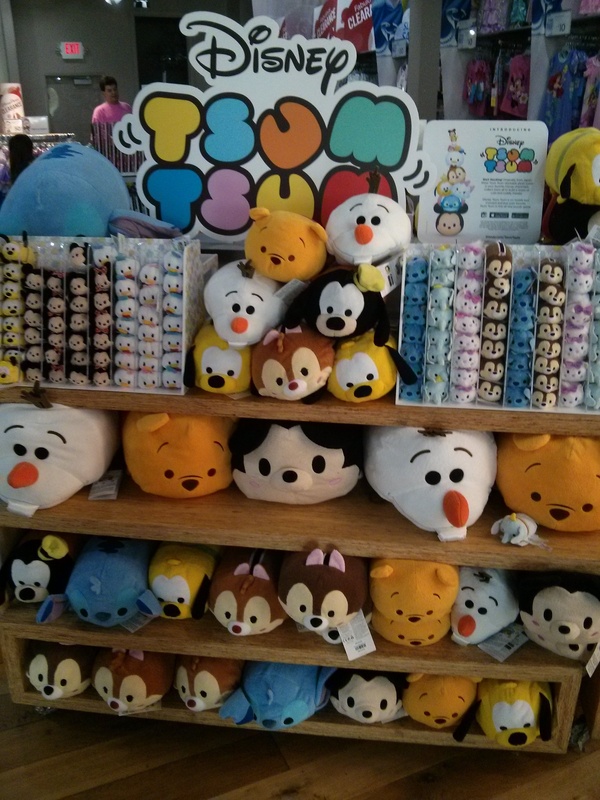 Do you love Tsum Tsum? Do you have any favorite characters? I’d love to hear about them!